May 16, 2014 August 13, 2014 Categories #ClosetCrush, Style#ClosetCrush, android app, fashion, iphone app, poshlove, poshmark app, shopmycloset, shopping, styleLeave a Comment on Have a #ClosetCrush? Recently purchased something you love? Create a #ClosetCrush listing to thank the seller! Step 1: Create listings on Poshmark showcasing your best PoshFinds – items you’ve purchased that you’re absolutely in love with. 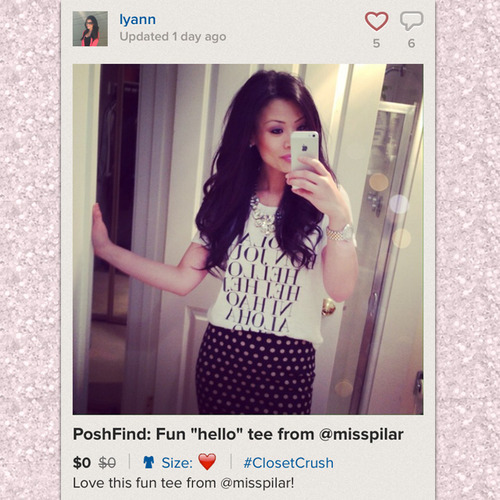 Get creative with photos of yourself wearing your PoshFinds. Set the brand to #ClosetCrush (this is important so we can see them!) and set the price to $0. Comment on the listing making sure to tag the seller so she gets notified and if you love her style, ask what closets she’s currently shopping! Step 2: Don’t be shy! Tell everyone on Poshmark how much you love what you’ve bought from them! 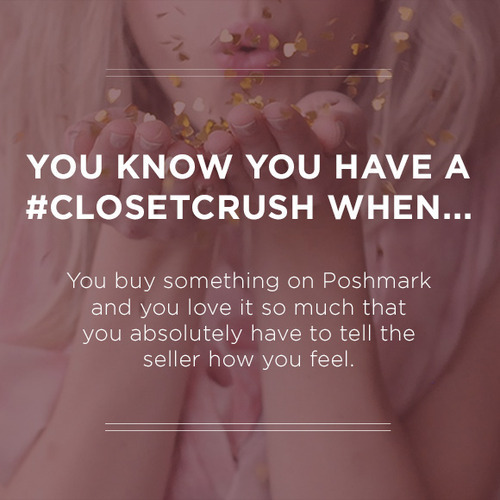 If they aren’t on the app, spread the #ClosetCrush tag everywhere – Instagram, Facebook, Twitter, Pinterest, etc. 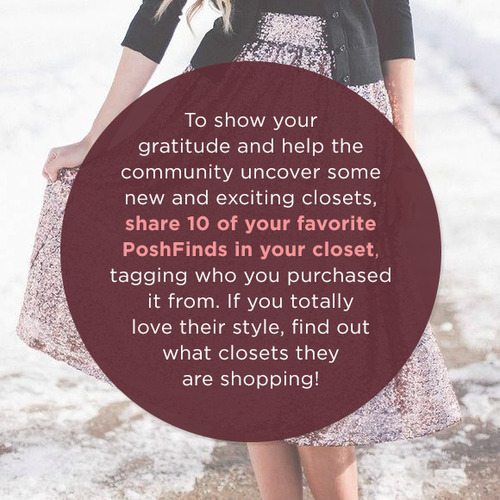 – and express your desire to shop their closets (making sure to tag Poshmark). Previous Post Community Feature: Covershots that Shine!